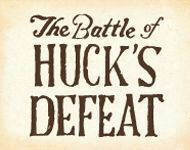 Captain Christian Huck and his Loyalist troops were soundly defeated in the early morning hours of July 12, 1780, in a battle that took place at the home of William Bratton’s neighbor, James Williamson. This victory inspired confidence for backcountry Patriots and began to turn the tide for success in winning Independence from King George. Join us as reenactors recreate these battle activities and more during our annual reenactment weekend.